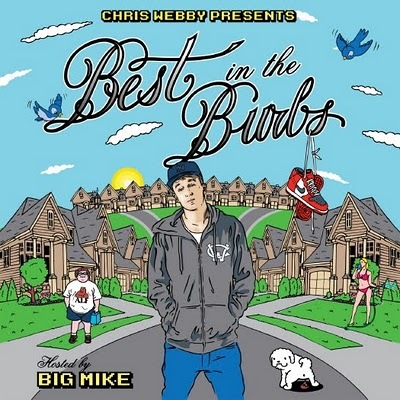 Welcome to the world of hip hop Chris Webby. One look and again you might write him off as another white kid trying to rap, but one listen and those thoughts will disappear. It is pretty incredible how far this kid has come. The Connecticut rapper debuts his fifth mixtape Best In The Burbs, showing his progression as an artist. Chris Webby has got the lyrics and the punchlines to hang in with the best of them and his style has helped him become the next underground king. He has over 55k likes on Facebook, over 14k downloads of Best In The Burbs on Datpiff in 3 days, and his other mixtape's have impressive downloads as well. Not bad for an unsigned rapper. Be sure to grab his new mixtape, this kid has a bright future ahead of him. Listen to "Can't Deny Me" from the new mixtape below. Download Best In The Burbs right here.